Can’t connect to Streamline account. Many UK companies will already be familiar with WorldPay through their subsidiary Streamline. 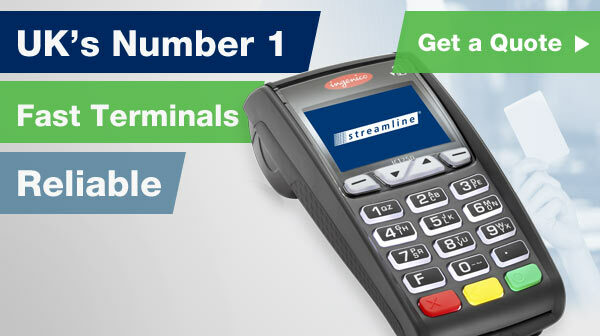 Streamline are a leading UK payment processor and have been in business since 1989. That sort of history will give many customers confidence in WorldPay’s mobile chip and PIN offering. 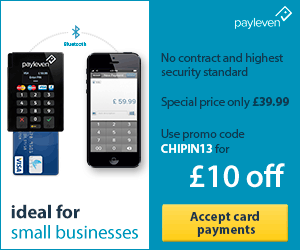 There are several benefits to the WorldPay chip and PIN reader compared with others on the market. WorldPay is an established and trusted brand which has been operating successfully for many years. That is not true for some mobile chip and PIN technology providers such as iZettle and Payleven. You can take payments over the phone with WorldPay Zinc, a facility not offered by many of their competitors. At £79.99 (inc VAT) the card reader is competitively priced, however you can pick up a cheaper chip and PIN reader. The monthly pricing structure may be preferred by companies processing a large number of payments each month on their card reader. For Streamline customers looking for a mobile chip and PIN solution that links with their merchant account WorldPay Zinc is not the answer. This card reader cannot be used with a Streamline merchant account. Companies looking to operate multiple card machines under one account should consider other options too as WorldPay Zinc is for individual card readers. Handpoint and Payleven are two providers currently offering multi accounts. WorldPay have recently changed their card reader. They were initially using the same device as iZettle, however they now have a new model. When I have a chance to use one I will let you know my thoughts. A colleague of mine has been using his WorldPay card reader at trade fairs and is very happy with it. Read the interview with him here > Emerald Promotions Interview. If you are interested in getting a mobile chip and PIN machine take a few minutes to browse the articles on this website including product reviews, I am sure you will find the info useful. The £10 discount is applied when your account is approved and you are charged for the card reader.